Play Sly Fox Flash game by Agame games . 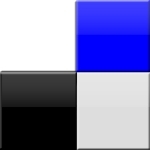 Find all the blocks and solve the square puzzle in this flash game. Horror themed point and click escape adventure. Get the balls into the containers using the arrow keys. Removes physics blocks and let the trolls fall to death. Help Jacko solve the puzzles on his quest to find the spirit of Halloween. Rotate the level to get the liquid to flow to the right place.